One of the hardest questions I've had to answer from my young son is the difference between Boba Fett, Jango Fett and the Clone troopers (they all have similar helmets in my Star Wars cards). 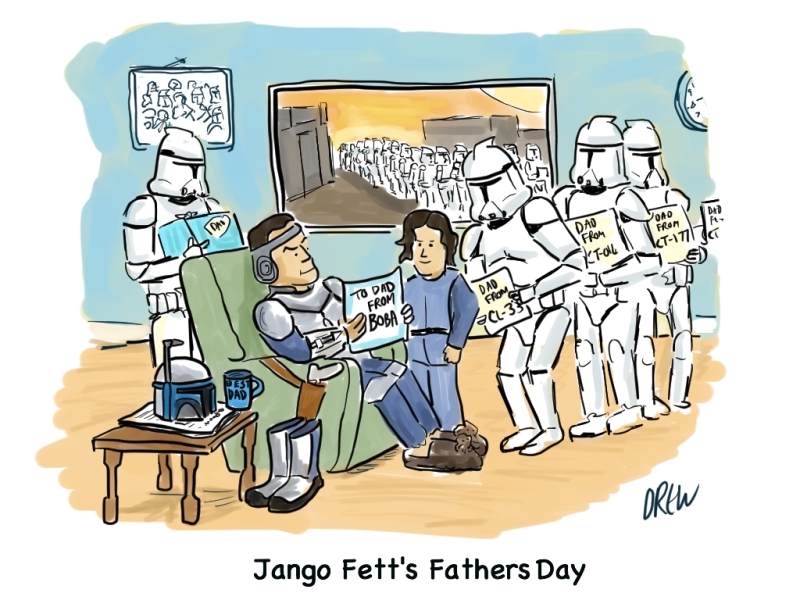 Basically Jango Fett was a Mandalorian bounty hunter who became the genetic father for the Clone Army of the Galatic Republic and "father" of Boba Fett an unaltered clone who unlike his 3 million brothers wasn't programmed with total obedience to the chain of command. This made me think about the upcoming Fathers Day.